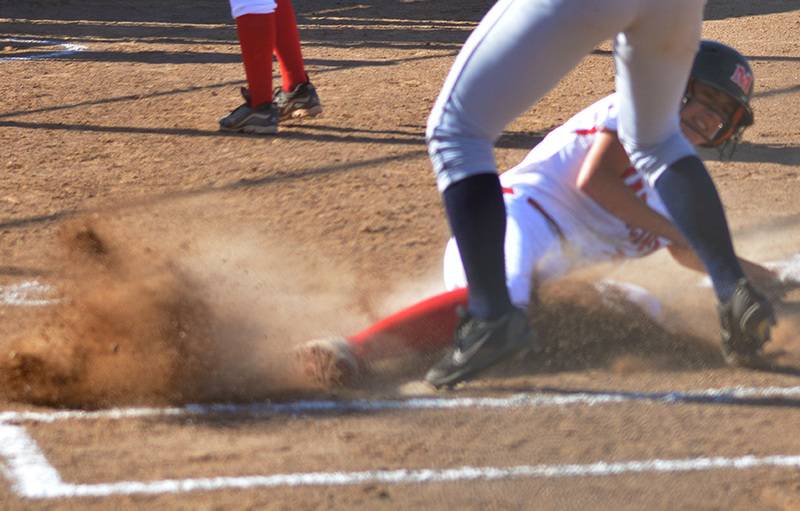 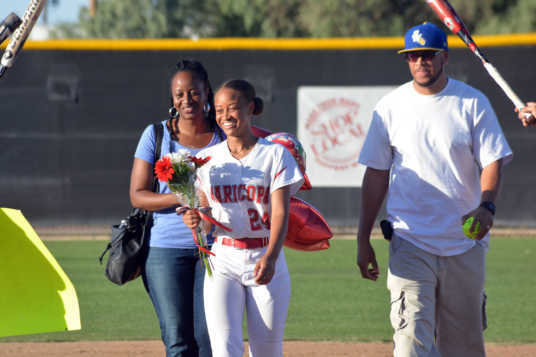 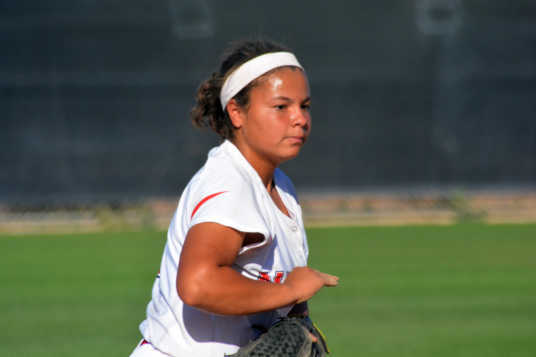 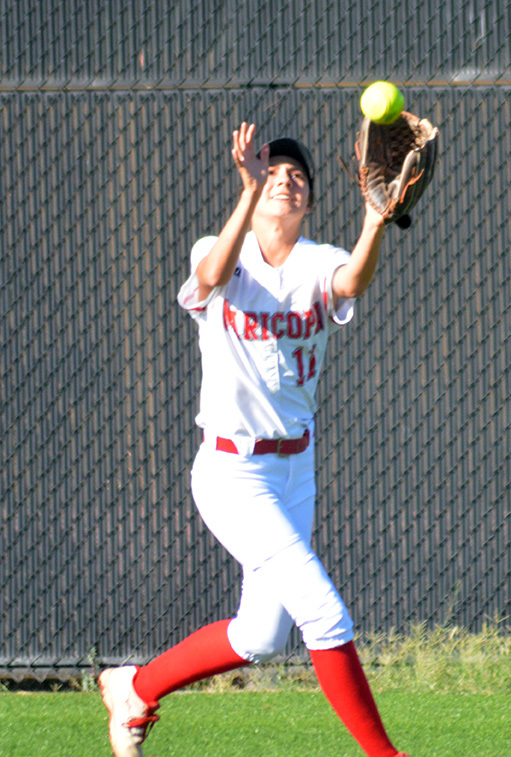 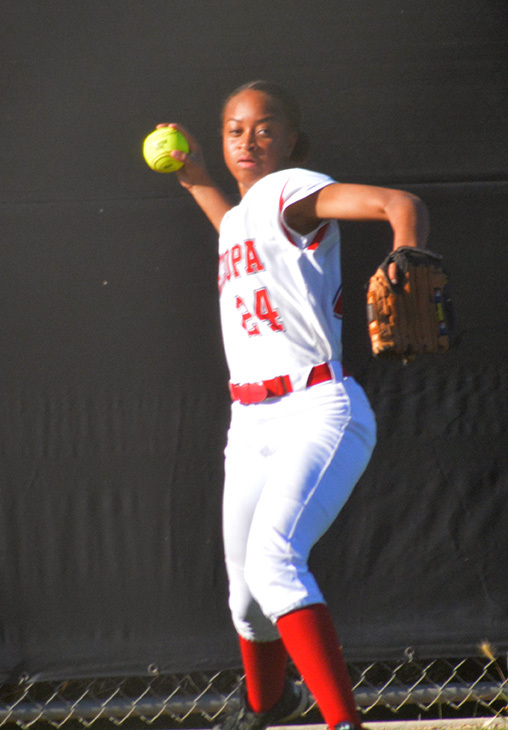 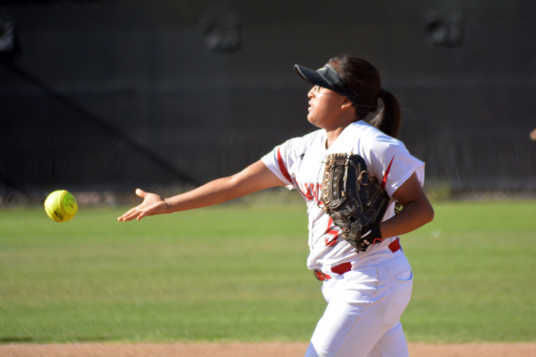 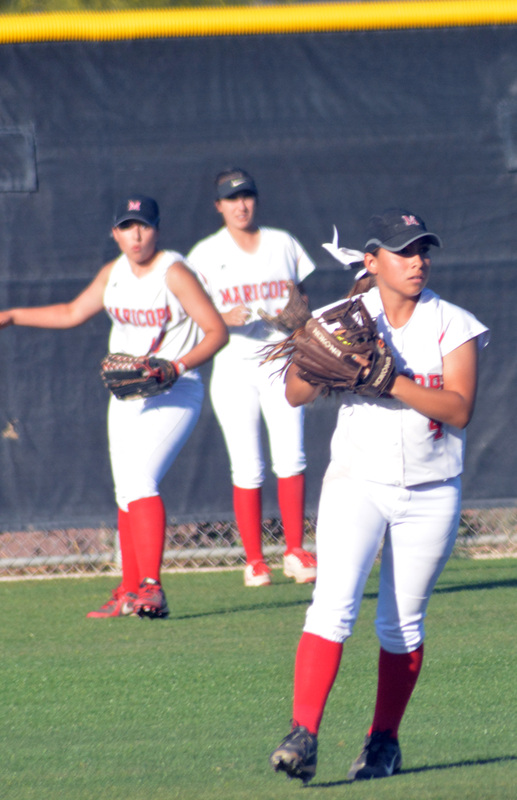 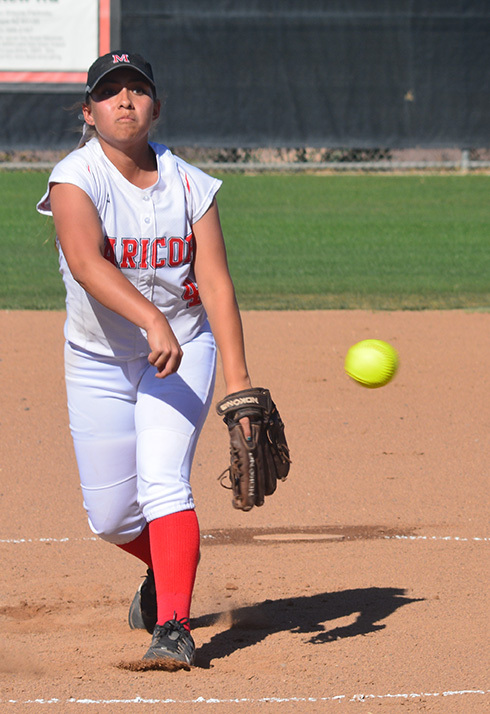 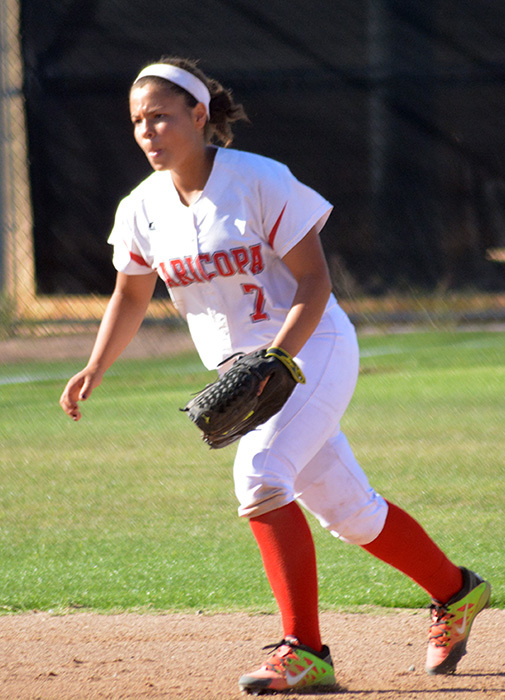 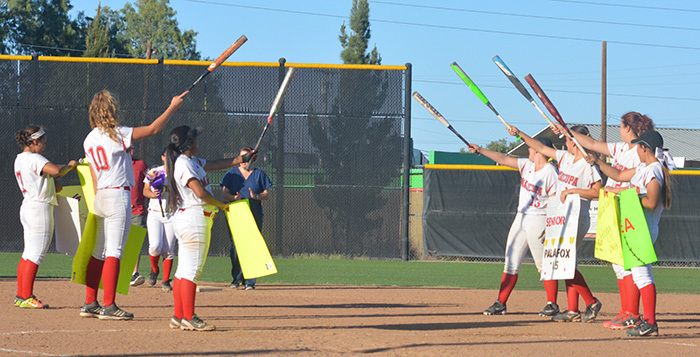 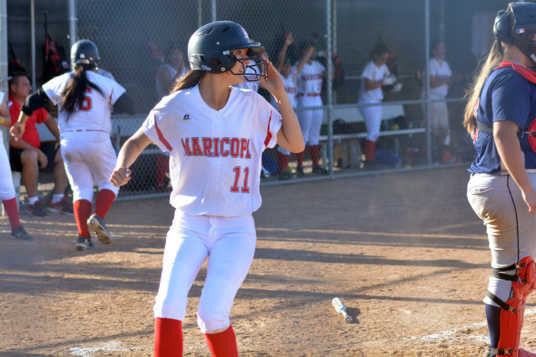 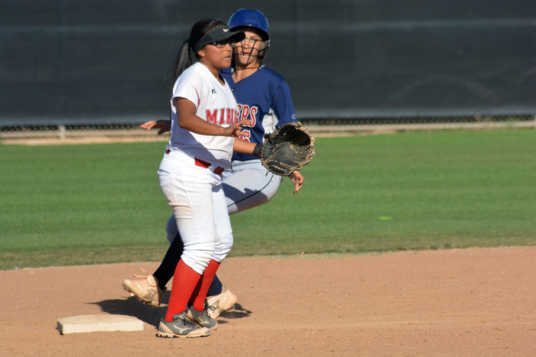 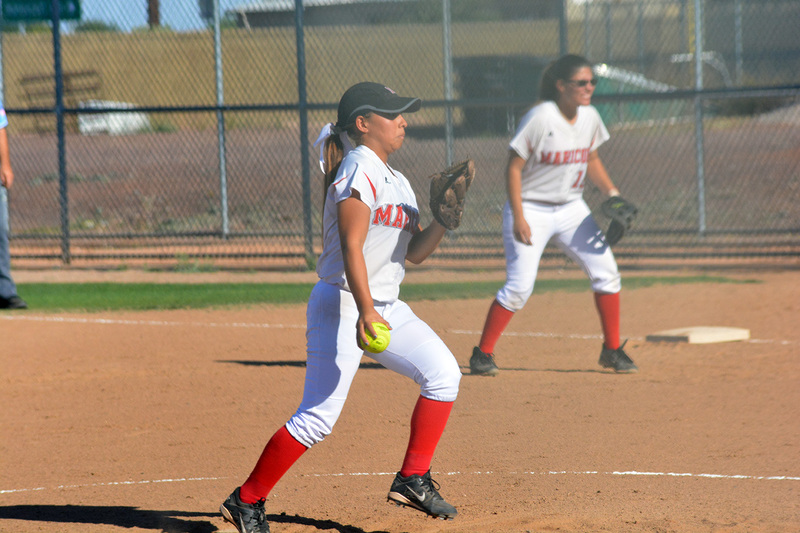 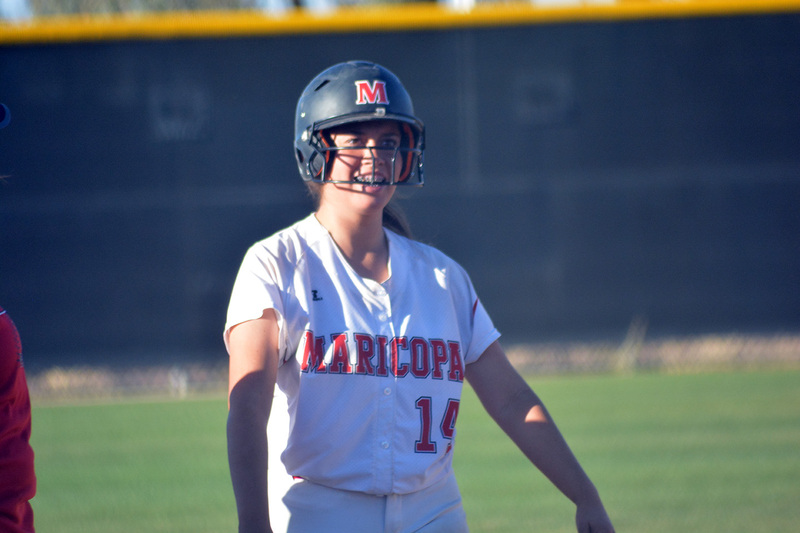 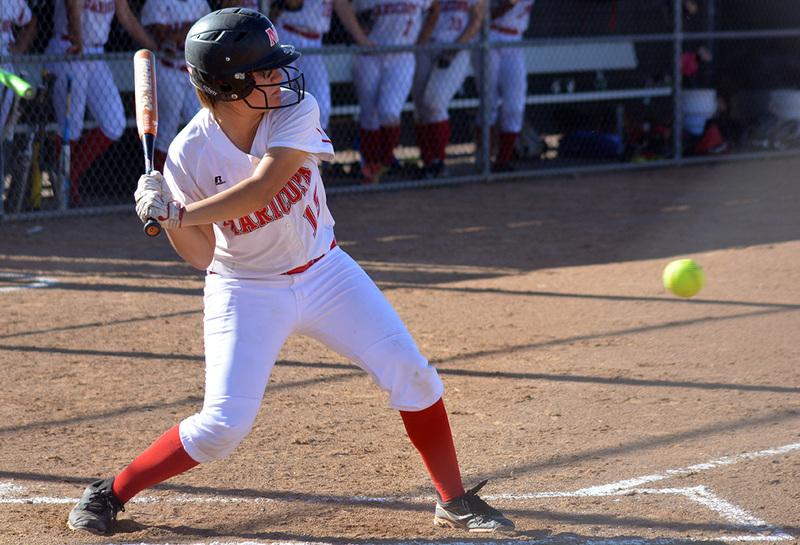 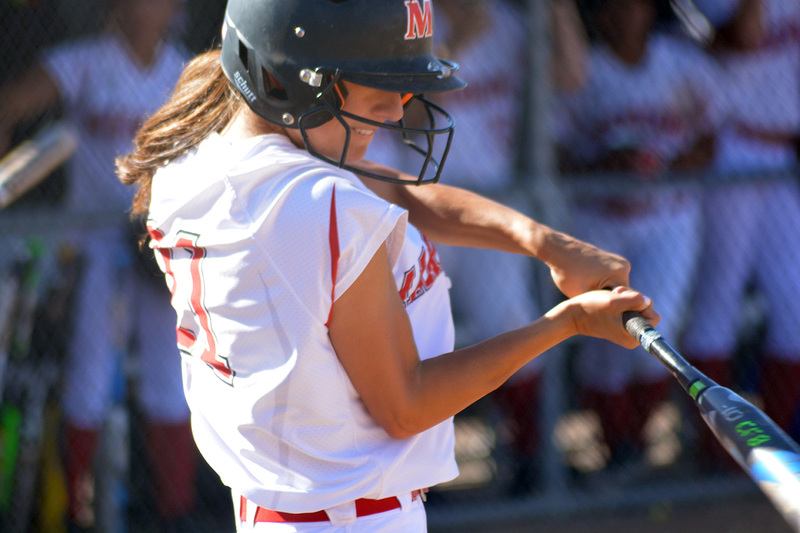 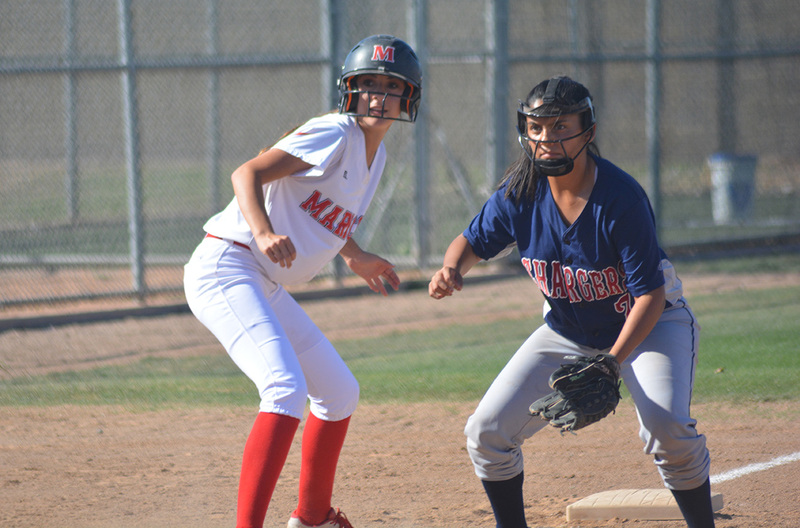 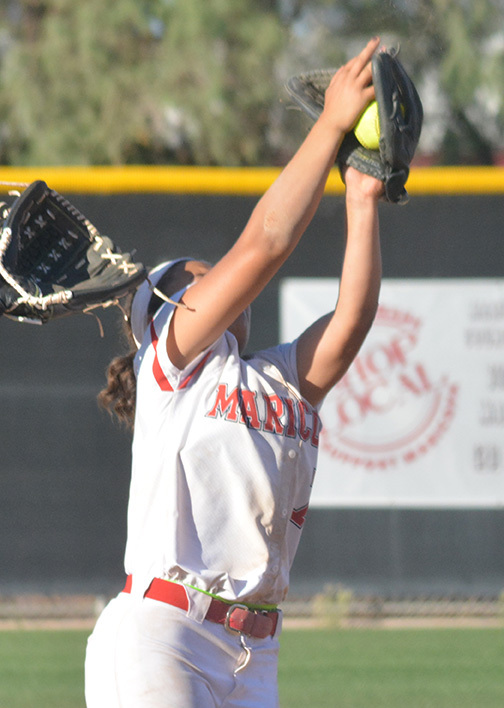 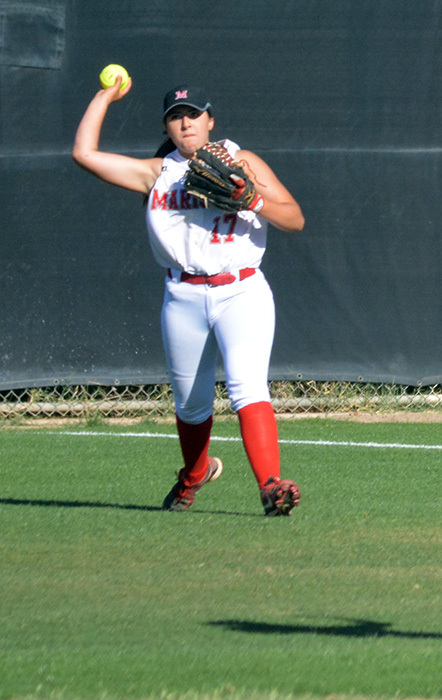 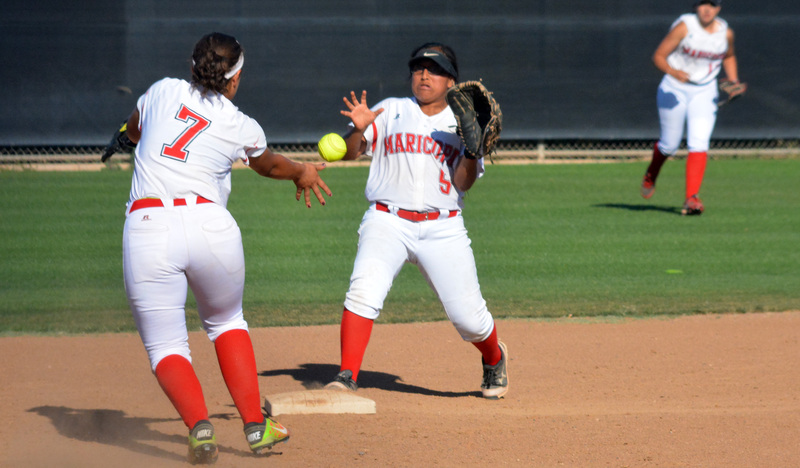 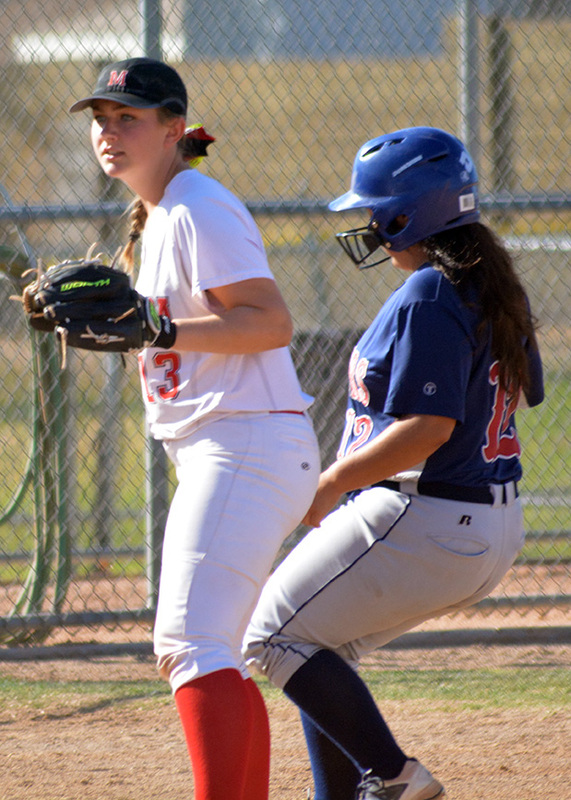 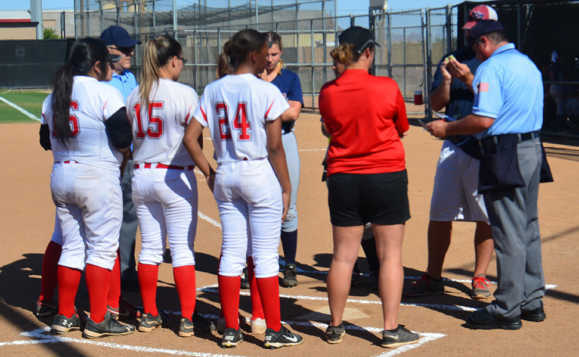 The Maricopa High School softball team ended a difficult year Thursday with a region loss to McClintock, 18-4. 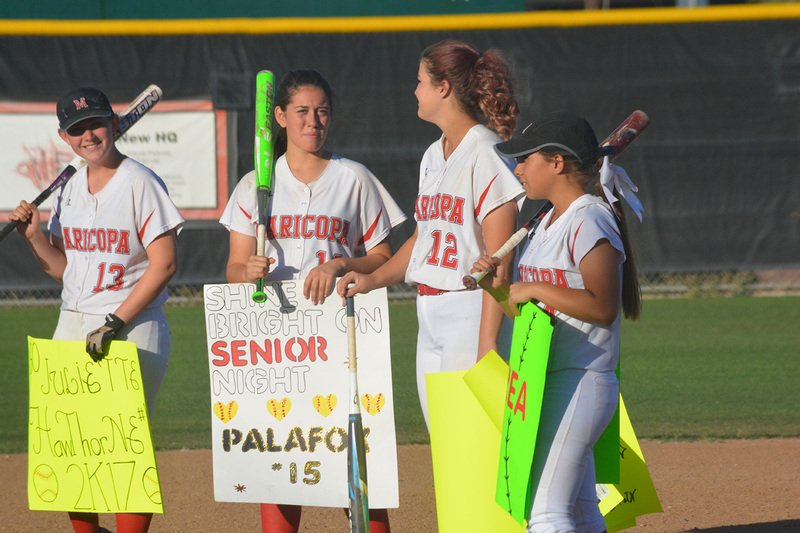 The Rams also said goodbye to five senior players that night after posting an overall record of 4-23. 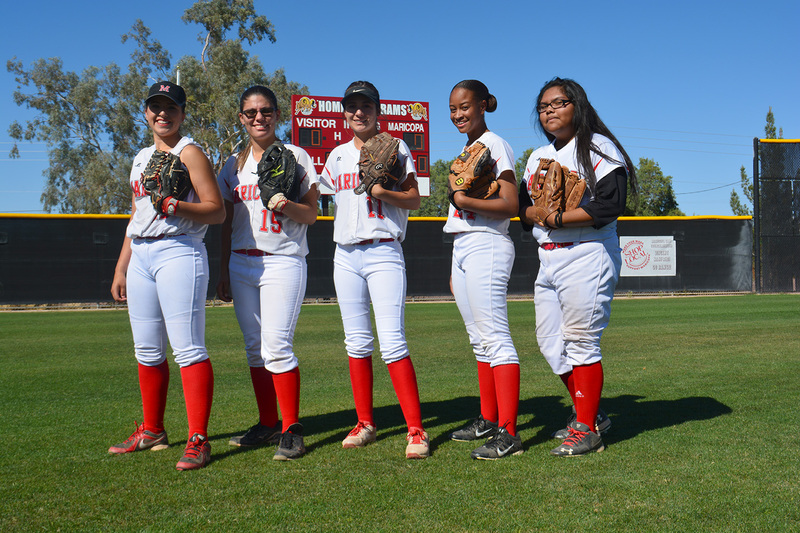 In their first year in the 5A Metro region, the girls were 1-9, defeating only Kellis. 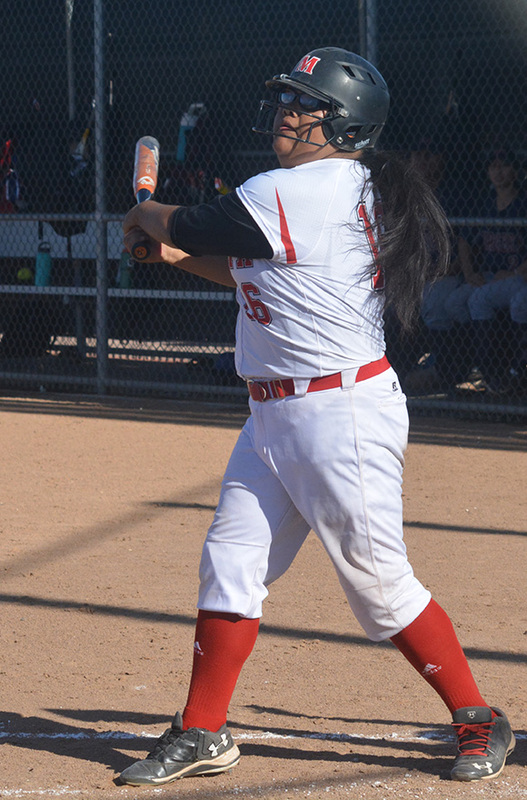 The Rams started the season with several inexperienced players. 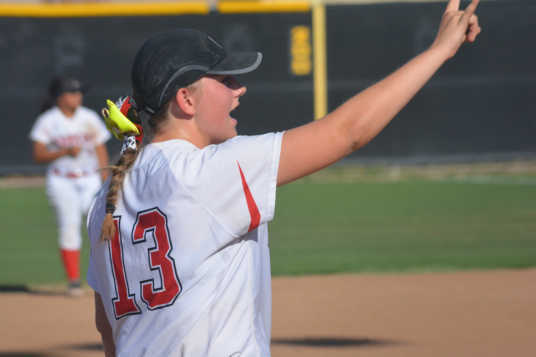 Howell said the beginning and end of the year were like “night and day.” She saw improvement throughout the season and said the girls were making difficult plays they could not have made at the beginning of the year. 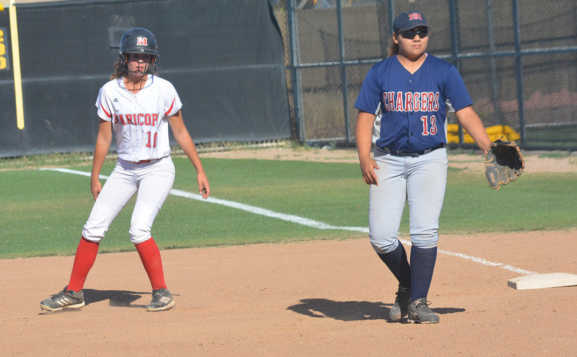 Howell said even an umpire questioned whether she had the same team she had at the beginning of the year. 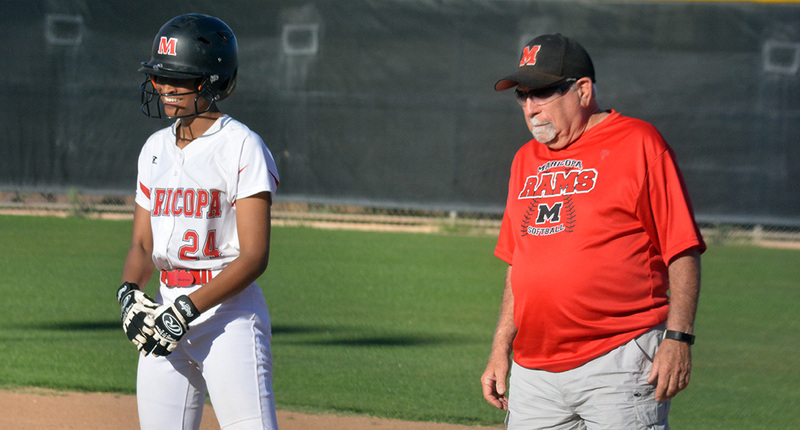 “He said, ‘I know they’re losing, but they look so much better,’” Howell recalled. 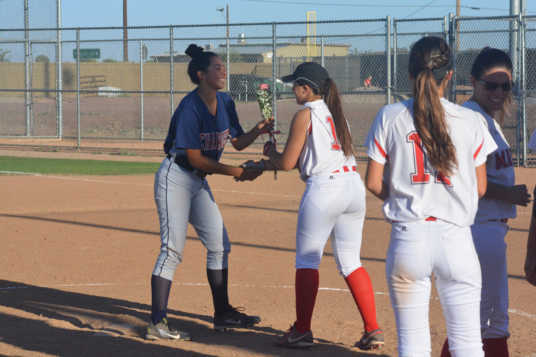 At the end of the game, Maricopa’s seniors handed out flowers to McClintock’s seniors. They were then honored by the team and families and were upbeat about the experience. 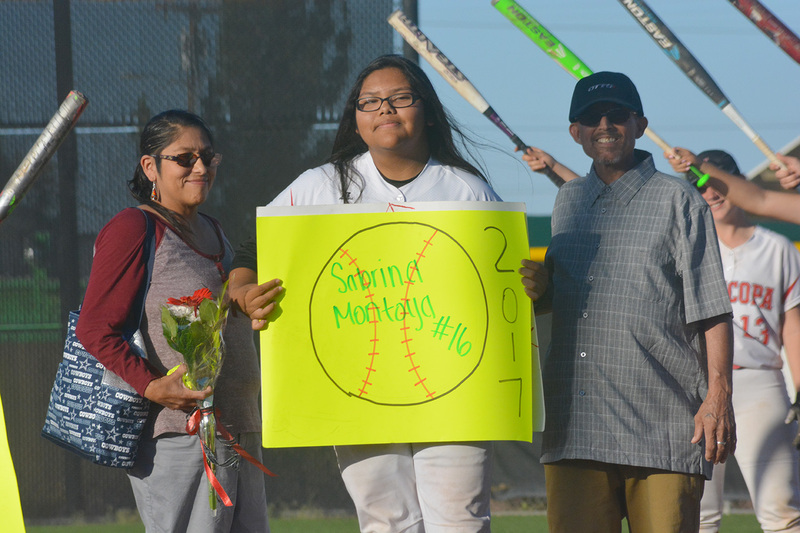 “I’d like to give a shout-out to my teammates for making this a great last season for me,” senior Sabrina Montoya said. 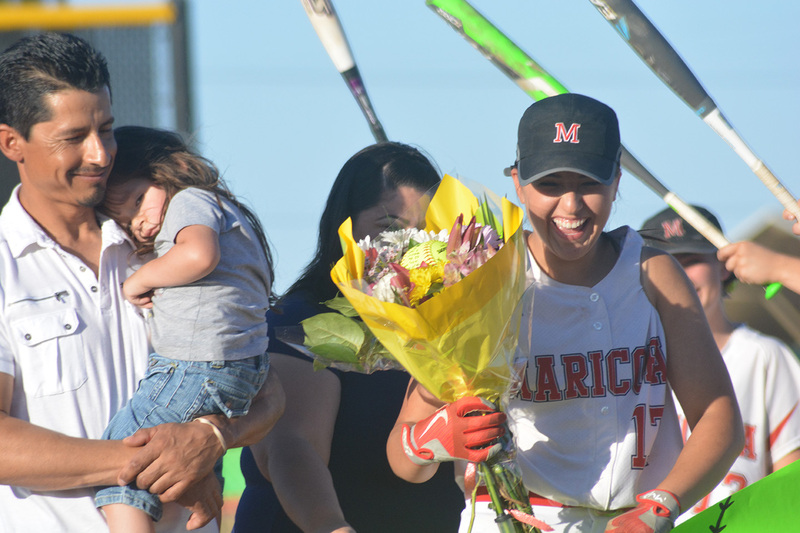 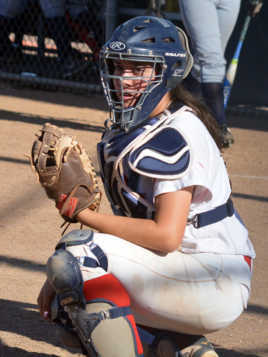 “My favorite memories were bonding with the team on bus rides, warmups and practice,” senior Andrea Gallegos said. 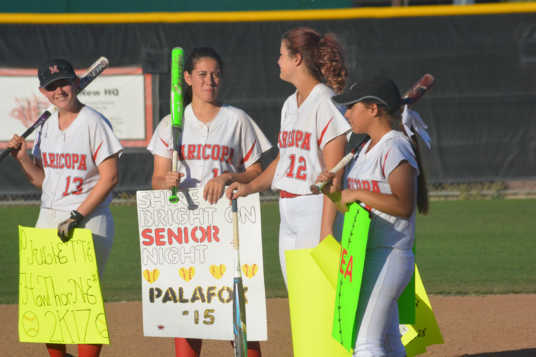 Senior Stephanie Palafox thanked her teammates for making the season fun and her coaches Howell, Weiner and Tom Dugan for their time and effort. 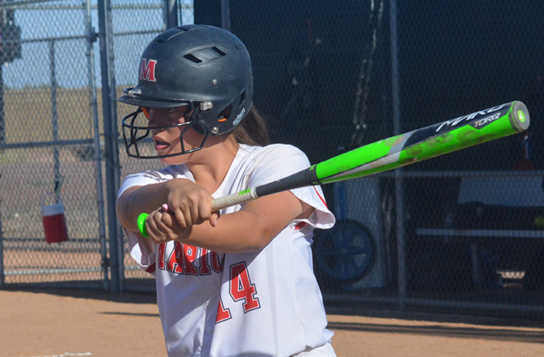 Though this season “didn’t pan out the way we wanted it to,” Howell thinks the team will come back strong in 2018.